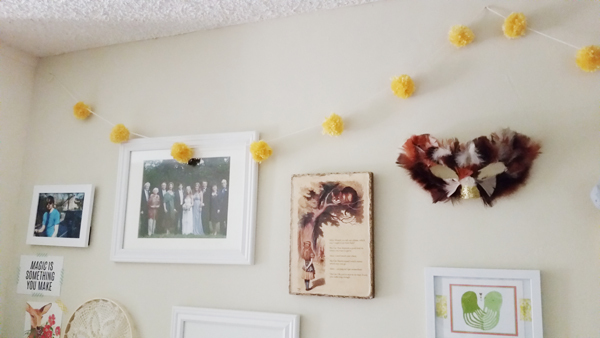 I have been wanting to make a pom pom garland for a while now, so yesterday I spent my time watching Gilmore Girls being productive by plopping down on the couch with yarn, a fork, and some scissors. I followed this simple tutorial and used a serving fork (larger than a regular eating one) to make the pom poms. I also left mine a little less “groomed” because I like my pom poms to be fluffy. 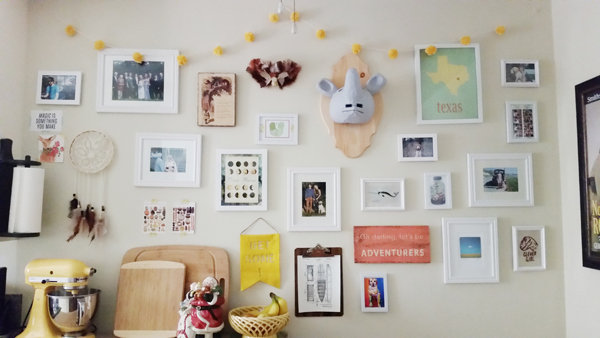 I tied the “tails” of the pom poms onto some white yarn and added the garland to my happy little gallery wall, which isn’t so little anymore but is definitely even more happy. I’ve been feeling a bit out of it this Christmas season, and I think part of it is because I haven’t gotten to do any crafting, Christmas or otherwise. 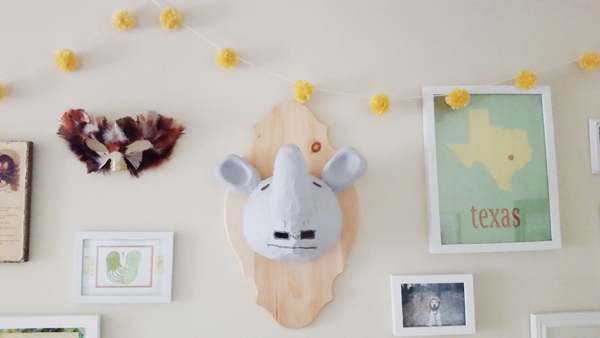 This has definitely helped, and I already want to make a smaller, all white one for our Christmas tree!